2 Danske pickupper sælges - Solgt må slettes. User last replied: 6 months ago. No replies since. Bytte Karmann Ghia og Handy til T1 Camper User last replied: 1 year ago. No replies since. kørsel københavn fra Aars tur retur User last replied: 1 year ago. No replies since. Søger Vw t1 picp up eller doka. User last replied: 1 year ago. No replies since. 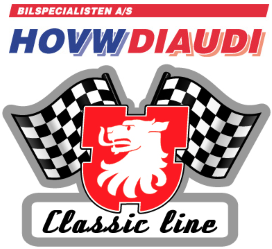 Salg/bytte Karmann Ghia 68 User last replied: 1 year ago. No replies since. Bytte Karmann Ghia og Handy til T1 Camper Started: 1 year ago Most recent reply: 1 year ago. kørsel københavn fra Aars tur retur Started: 1 year ago No replies. Søger Vw t1 picp up eller doka. Started: 1 year ago Most recent reply: 1 year ago. Karmann ghia og handy campingvogn på Stumpemarked i Aars Messecenter. Started: 2 years ago Most recent reply: 2 years ago. Renovering af VW Karmann Ghia 1966 coupe 6 volt Started: 3 years ago Most recent reply: 2 years ago. mine sæder i karmann ghia fra 1966 smuldrer. Started: 3 years ago Most recent reply: 2 years ago. sprinklerdunk til Karmann ghia fra 66 Started: 3 years ago No replies. Søger camp-let Handy Campingvogn. Started: 3 years ago Most recent reply: 3 years ago. Instruktionsbog til Karmann Ghia 1966 købes Started: 3 years ago Most recent reply: 3 years ago. Anhængertræk på veteraner Started: 3 years ago No replies.